Your MHCAM membership sponsors a vital educational and cultural resource for the campus and the broader public. Your commitment at the Director’s Circle level (an annual donation of $1,500 or more) not only gives you exclusive access to Museum events, trips, and publications, but it also welcomes you to a community of dedicated art supporters. What are the benefits of joining the Director’s Circle? 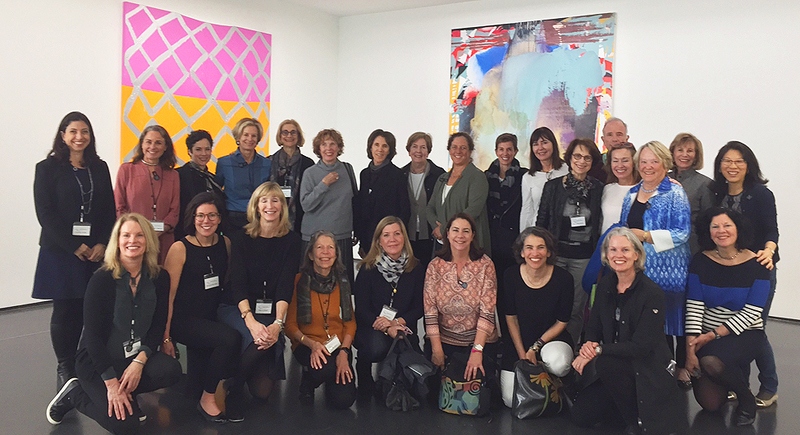 Enjoying a two-day art tour led by the Florence Finch Abbott Director in a different city every spring, including visits to private collections, behind-the-scenes tours of galleries and museums, special receptions, and dinners. Receiving invitations to multiple art-themed events, gallery talks, lectures, and receptions both at the MHCAM and around the country annually, including the Art Dealers Association of America (ADAA) Art Fair in New York City. Receiving the Museum’s annual Newsletter, complimentary exhibition publications, and a 15% discount at the Museum shop. ​Please note that those who give at the $2,500 level and above receive first opportunity to register for the Director's Circle Art Tour and invitations to dinner with guest lecturers. Who are Director’s Circle members? Multi-generational alumnae, community members, collectors, donors, and art lovers. Seekers of new experiences with art and material culture. People looking to develop friendships with others who share their passion for art. Those exploring a budding appreciation for art to those with a long history as fine art professionals and connoisseurs. Learn more about Director's Circle Events or complete an online membership or printed membership form to join Friends of Art today.